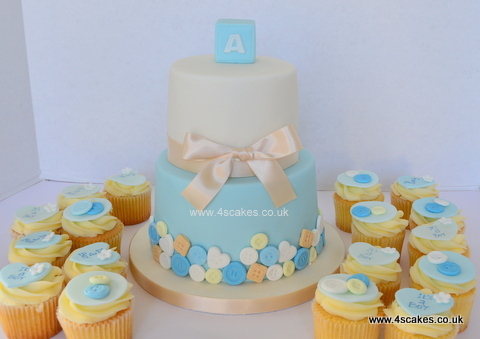 A cute Cake or a dessert table for a very special Baby Shower. 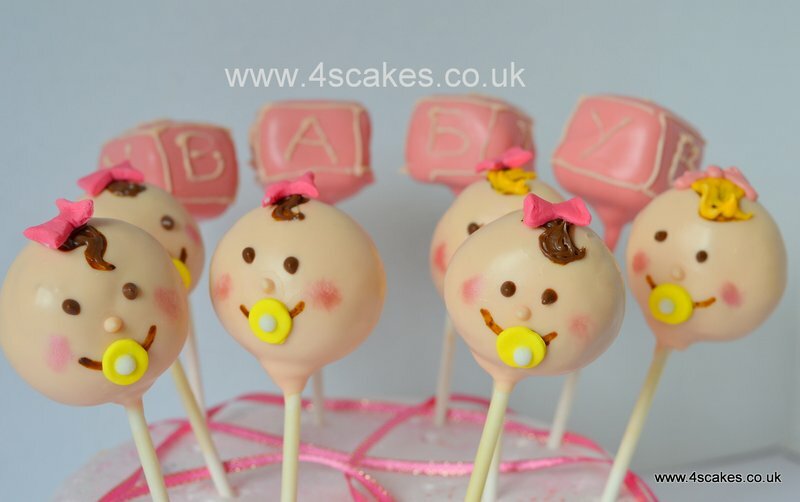 I can make any ideas you have or come up with a unique idea for a special cake. 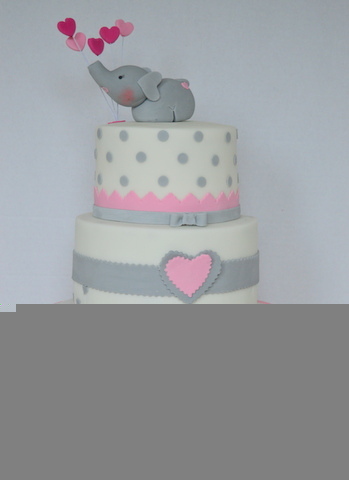 Pink and gray theme cake with cute baby Ele. 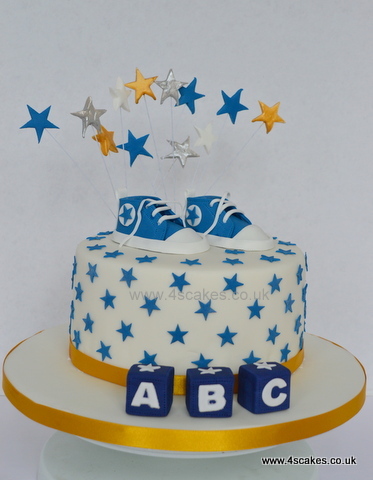 Star Baby shower cake with hand made Baby Booties. 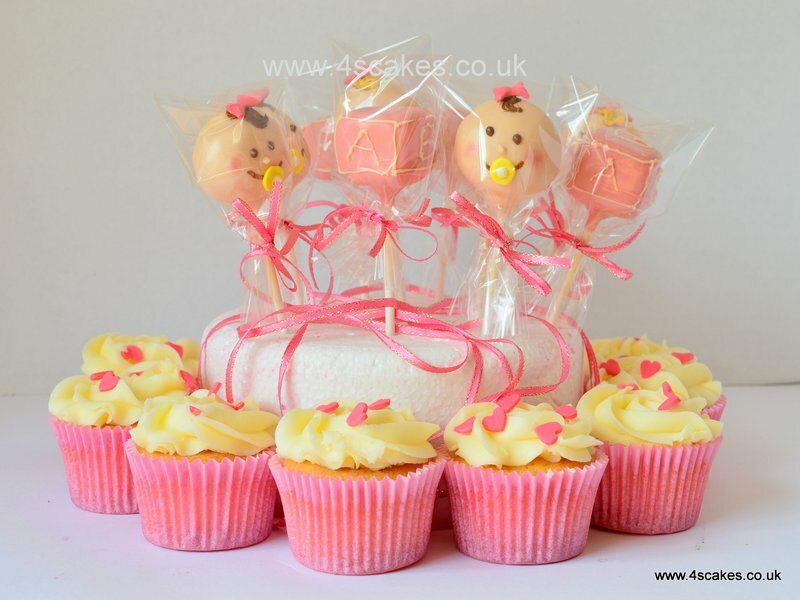 For a baby girl Baby Shower, a cute teddy and a washing line and BABY blocks. 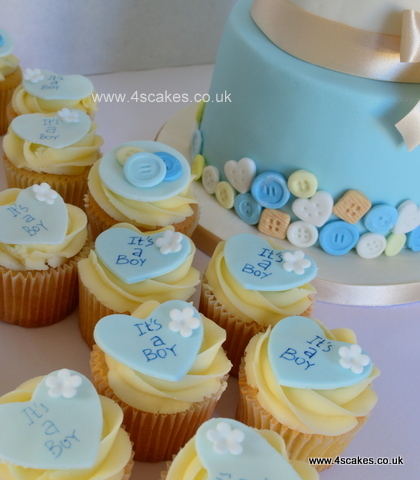 Cute Buttons Cake and Cupcakes, I can add a teddy or another cute figure instead of the block, I am always open for new ideas. 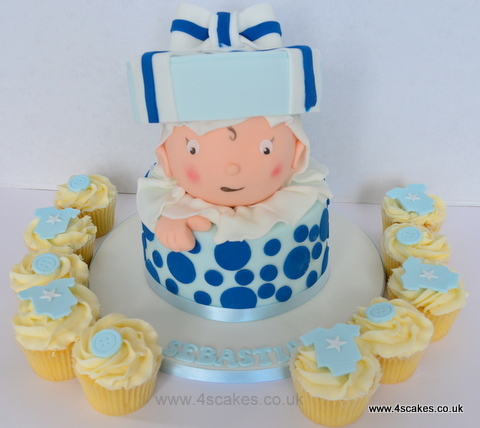 A Baby Peeking out of the box cake.